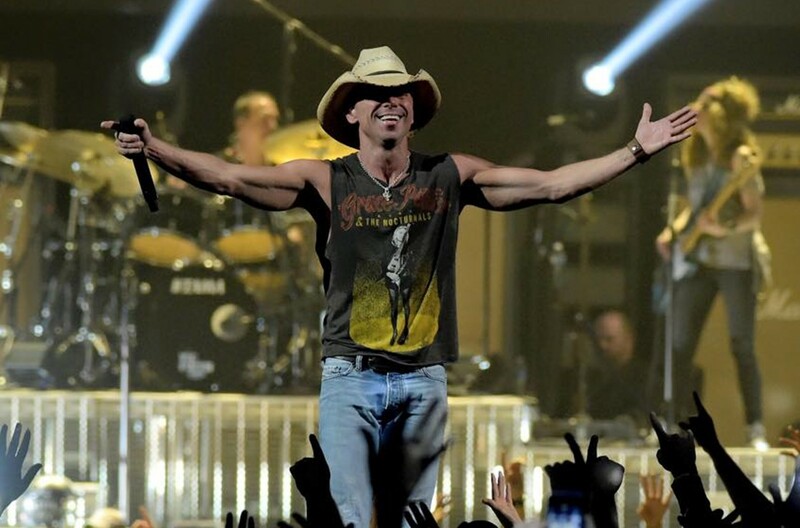 Kenny Chesney Goes #1 with "All the Pretty Girls"
While summer changes to fall, Kenny Chesney's anthem, "All the Pretty Girls," landed at the top of the charts--- earning him his 30th No. 1! Country music fans quickly took to Kenny Chesney‘s hit single “All the Pretty Girls” as a summer anthem. With summer turning into fall, the song about pretty girls, lost boys and being home for the summer landed a spot at the top of the charts. It also gave the Tennessee native his 30th chart-topping hit, but his list of No. 1 records starts 20 years ago when “She’s Got It All” became his first No. 1 on August 30, 1997. It remained at the top for three weeks. Earlier this summer, Chesney wanted to build up the song’s authenticity. He offered a scholarship to a middle Tennessee college student who created a video for the track. Chesney used it to create the real music video, following a young man’s pursuit of having a summer romance with a local pretty girl. Share this news with other fans of the entertainer!